A new ReSTOR Multifocal Lens or Tecnis multifocal lens can potentially eliminate glasses from your life after cataract surgery. Because Norwich Ophthalmology Group cares deeply about the visual outcomes for our patients, we now oﬀer the ReSTOR Aspheric and Tecnis multifocal, the latest technology in multifocal lens implants. An Aspheric lens decreases glare and haloes, which also will improve your vision. Norwich Ophthalmology Group is one of the ﬁrst eye centers in Southeastern Connecticut currently utilizing this exciting new technology. In order to better understand your options for lens implant procedures, please read below. People with mature cataracts often describe the sensation as looking through a piece of wax paper. A cataract may make light from the sun, or a lamp seem too bright, causing glare. Colors may not appear as bright as they once did. Commonly oncoming headlights at night may cause lot's of glare. When your physician tells you that you have a cataract and it needs to be removed, it may be frightening. However, once you understand what a cataract is, how it will be removed, and the life-changing beneﬁts cataract surgery, you will likely wish you’d had the procedure sooner. A cataract can progress until there is a complete loss of vision in the eye, and neither diet nor laser treatment will make a cataract go away. However, cataract surgery can help restore your vision, and gives you the benefits of clear vision again. Once it is determined that you have a cataract and it will be removed, your doctor will work with you to decide which IOL is best for your visual needs. There are two basic types of IOLs, each designed for a speciﬁc corrective function. These types are monofocal and multifocal. Monofocal IOL: An intraocular lens that provides patients with only one focal point. Most commonly, these lenses correct only for distance vision. Sometimes, if a person has worn munousion contact lenses (one eye focused for near, the other focused for distance) that can also be ahcieved with monofocal lenses. 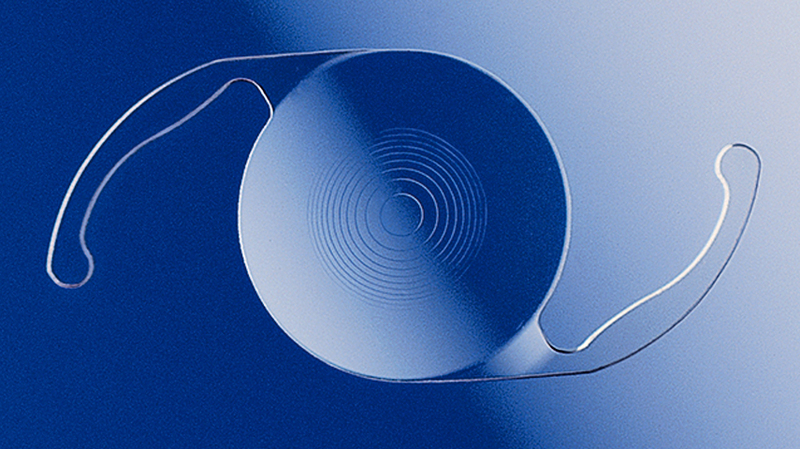 Multifocal IOL: Multifocal lenses are designed to correct vision from near to distance. You may be a candidate for one of our many choices. Ask your doctor if you are a candidate for multifocal lens implants. Cataract surgery is an outpatient procedure that will only take a few hours. When you arrive, your eyes will be treated with eye drops to prepare you for surgery and minimize any discomfort during the operation. During this routine operation, a small incision is made on the surface of the eye. Your surgeon will use a tiny instrument (about the size of a pen tip) to remove your clouded lens. This can be done with either an AquaLase device, which uses gentle pulses of ﬂuid to wash away your cloudy lens, or an ultrasonic instrument that breaks up and gently removes your cloudy lens (called phacoemulsiﬁcation). As we perform daily activities such as reading, watching television or working at the computer, our eyes are constantly focusing on objects at varying distances – up close, far away and everything in-between. The ability to quickly change focus throughout this range of vision is called accommodation. Unfortunately, the ability to accommodate diminishes as we grow older which causes us to become dependent on bifocals or reading glasses. However, multifocal lens implants are designed to provide quality near and distance vision.